Mr. Emmitt has over thirty years of health care industry investment experience including venture capital, investment research, and investment banking. As an investment analyst with Cyrus J. Lawrence and F. Eberstadt, Mr. Emmitt was recognized as one of the leading experts on the health care industry by Institutional Investor Magazine. He currently serves on the Boards of Directors of American Medical Systems, Inc., BioSet, ENTrigue Surgical, ev3 Inc, Galil Medical, Incumed, Tepha and Tornier. He previously served on the Boards of Directors of OsteoBiologics Inc., SciMed Life Systems, Xomed Surgical Products and Wright Medical. Mr. Emmitt received a B.A. in Economics from Bucknell University and an M.B.A. from The Rutgers School of Business. Mr. Lasersohn has thirty years of experience in health care venture capital investments. Prior to joining The Vertical Group's predecessor, F. Eberstadt in 1981 as a member of its venture capital division, Mr. Lasersohn was a corporate attorney with Cravath, Swaine & Moore. Mr. Lasersohn has served on the boards of over thirty medical companies and currently serves on the Boards of Directors of Anova, Masimo Corporation, Oncomed, Photothera and Silk Road Medical. He previously served on the boards of Bacchus Vascular, CardioThoracic Systems, Inc., Cardiovascular Imaging Systems, Inc., E.P. Technologies, Integrated Vascular Systems, Kyphon Inc, Metabolix, Proteolix and TetraLogic Pharmaceuticals . Mr. Lasersohn served on the Executive Committee of the Board of Directors of the National Venture Capital Association and is a past Chairman of the Medical Industry Group of the NVCA . He was the recipient of the NVCA’s Outstanding Service Award in 2008. In 2011, Mr. Lasersohn was appointed by the Office of the President to serve as an Entrepeneur in Residence at the FDA to develop an Innovation Pathway for medical devices. In 2012 he was appointed by the Secretary of HHS as a guest panel member of the Medicare Coverage and Advisory Committee (MEDCAC). He received a B.S. degree in Physics from Tufts University, an M.A. from The Fletcher School of Law and Diplomacy, and a J.D. from Yale Law School. Tony M. Chou, MD has over 15 years of healthcare experience as both an interventional cardiologist and medical device industry executive. Dr. Chou was employed by the Abbott Vascular Division of Abbott Laboratories at which he held positions with both general management and business development responsibilities. Serving as Vice President and General Manager of Vascular Closure, he oversaw the development, manufacturing, clinical trials, FDA PMAS/PMA and global launches of the femoral closure devices Perclose Proglide and StarClose. 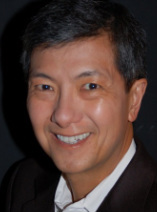 Prior to joining Abbott, Dr. Chou was the Director of the Adult Cardiac Catheterization Laboratory at the University of California, San Francisco where he remains Associate Professor of Medicine. He serves on the advisory board for UCSF’s Masters of Translational Medicine program as well as Case Western Reserve’s Council for the Advancement of Human Health. In addition, Dr. Chou currently serves as director or advisor to boards of Silk Road Medical, Outset Medical, Singular Bio, Omada Health, and Hinge. He also serves as founder, CEO and Director of Route 92 Medical. He previously served on the Board of Directors of Lutonix. Dr. Chou received an MD from Case Western Reserve University and a BS in Physics and Electrical Engineering from Carnegie Mellon University.